I really like the idea of sharing empties and all these basket/pan projects where you actually use the whole product to understand if it really works for you and is worth repurchasing or not, as in some cases, some products don’t give an instant result and you have to be patient. So here is my first time sharing my empties. SK-II R.N.A. Power Radical New Age Cream is one of the best moisturizers I’ve ever tried. I got a sample for points at Sephora and plan to purchase the full size. As an option, there is also SK-II Pitera Welcome Set that has an Essence and a Toner for less. 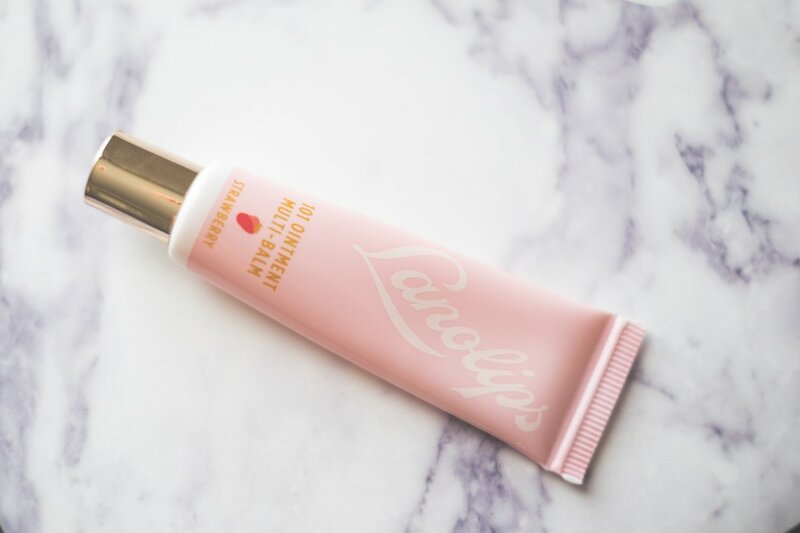 Lanolips 101 Ointment Multi-Balm is the product I have been using for years and haven’t really found anything better so far! 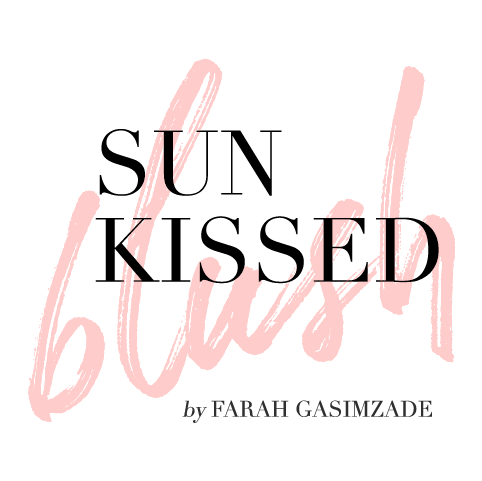 I also have devoted a detailed blog post about this product and its active ingredient. First Aid Beauty Ultra Repair Pure Mineral Sunscreen Moisturizer SPF 40 is a nice sunscreen that doesn’t clog pores or give a strange bitter taste in your mouth after applying it on your face (some sunscreens do that and I don’t know why yet). However, I couldn’t use the tube completely as the cream gone bad – it smells like a bad fish now. There is also a new Ultra Repair® Tinted Moisturizer Broad Spectrum SPF 30 that I plan to try this year. I believe the best shade for me is Light. 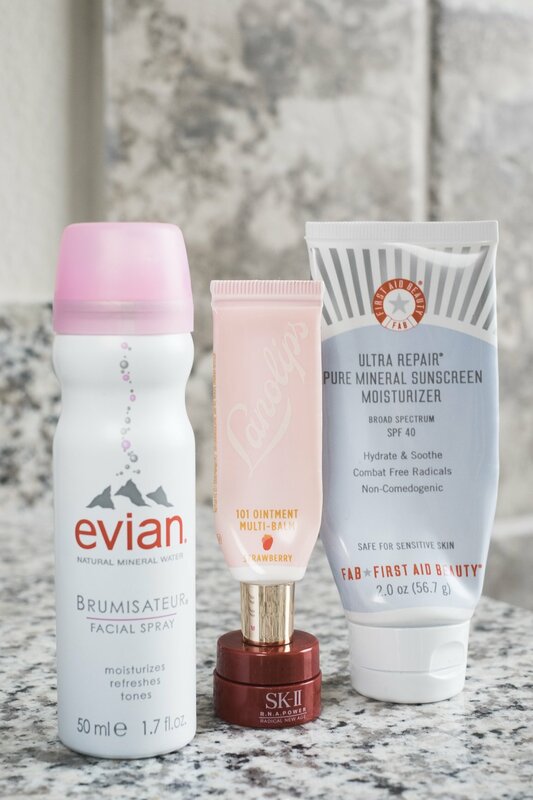 EVIAN Brumisateur® Natural Mineral Water Facial Spray Travel Duo seemed like a nice idea as a face mist, since it’s only clean water in a bottle, but after finishing the first bottle ( it comes in a pack of 2), I can’t say I’m really excited about the purchase. I’m still longing to Caudalie Facial Mist as it smells like an expensive spa treatment. Living Proof Full Shampoo is my another staple! it actually replaced the Morrocanoil Extra Volume Shampoo that I’ve been using for a couple of years. 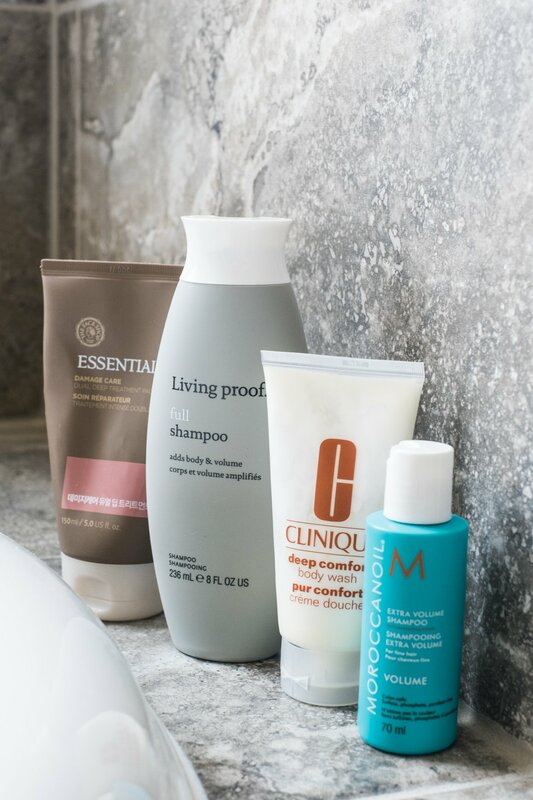 Here is a separate post about the Living Proof Shampoo and why I really love it so much. Clinique Deep Comfort Body Wash is indeed a nice body wash for dry skin, but I prefer more natural ingredients (and aromatherapy!) so that I’m not sure if I repurchase it. [The Face Shop] Essential Damage Care Dual Deep Treatment is a must-have hair care mask. I’ve already mentioned it in my reviews, and it is so good that I’ll keep repurchasing it. 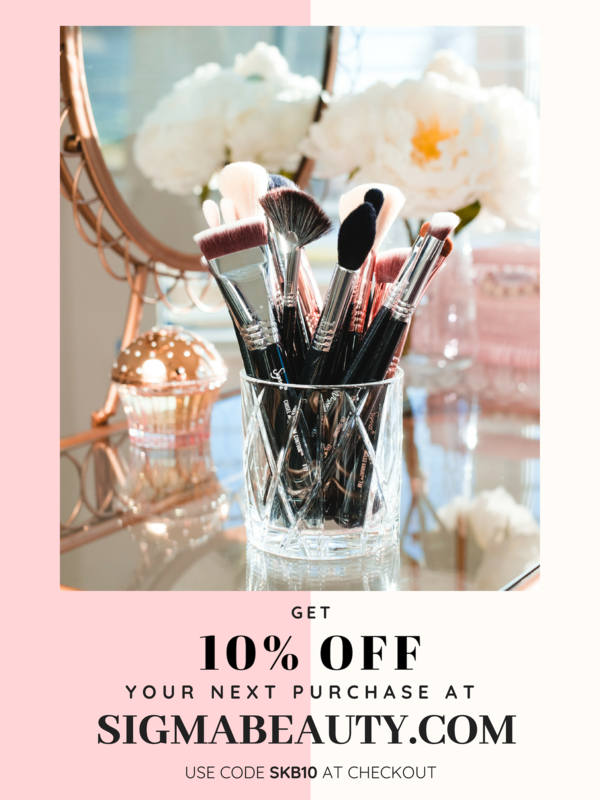 It Cosmetics Brush Bath Purifying Brush Cleaner is exclusively sold at Ulta. It’s a nice solution for cleaning between washing the brushes and has a natural ingredient list. For some reason, it works better with synthetic brushes. I’m exploring other products at the moment so that I don’t plan to repurchase it in the nearest future. 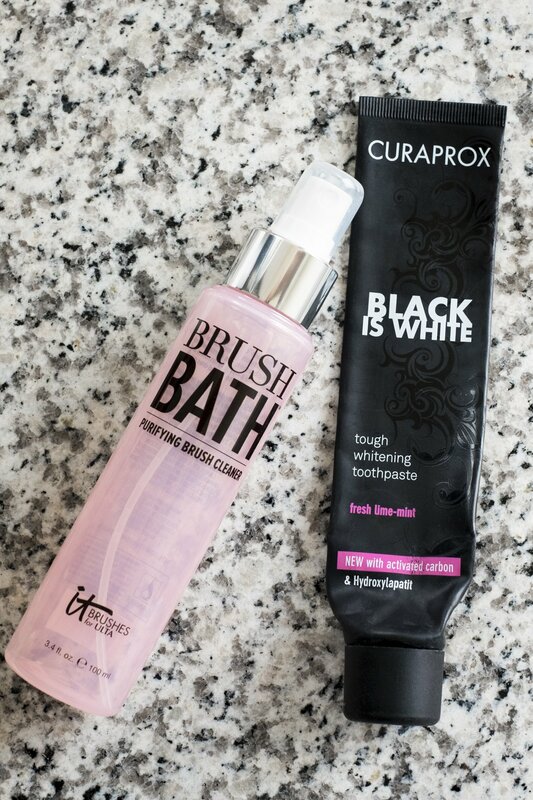 CURAPROX Black Is White Charcoal Whitening Toothpaste Set is another amazing product that is in my vanity for at least couple of years. So far, it’s the best whitening toothpaste I’ve tried so far! It has activated charcoal as the active ingredient. Plus, Curaprox toothpastes keep my teeth cavity free and my dentist appointments to check-ups – before, I had to pop into dentist’s office at least every 2 months. 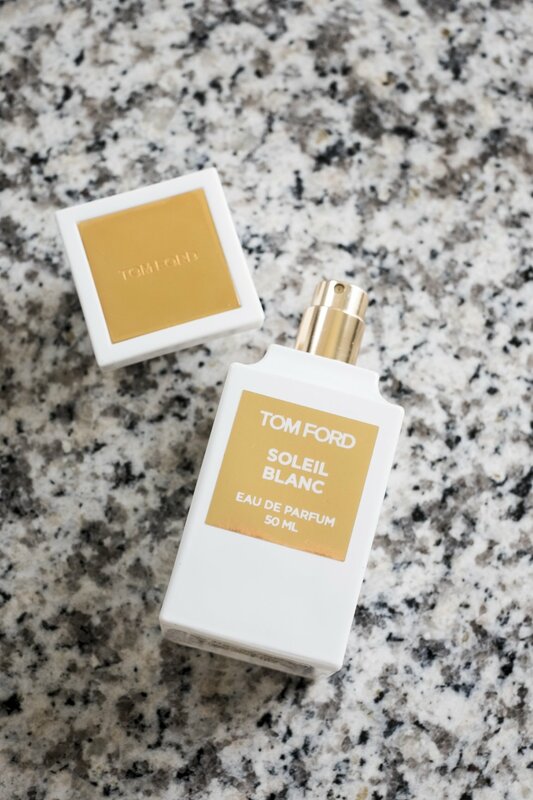 Tom Ford Soleil Blanc Eau De Parfum is my all-time favorite perfume, it reminds me of sunny lazy days on a beach. It works for me throughout the year, it makes me feel so “sun-kissed” all the time. The Soleil Blanc collection now also has a 30ML version as well as new Eau De Soleil. 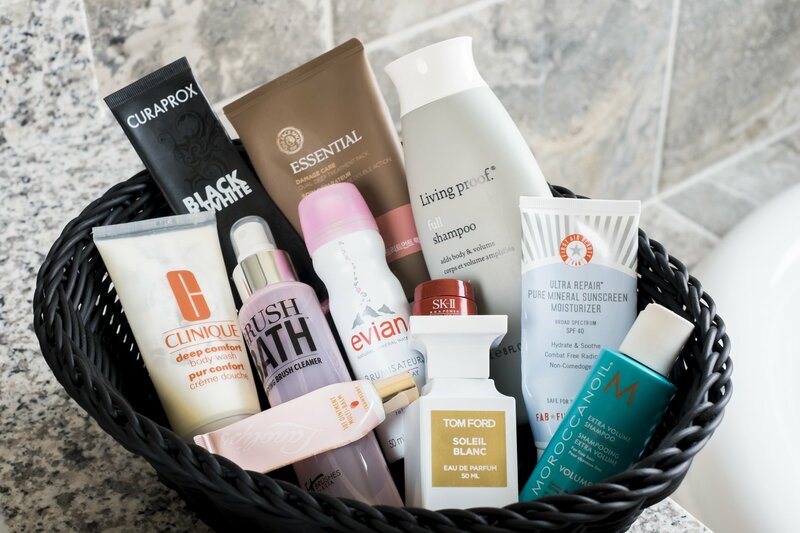 Honestly, these “empties” and “pan/basket” projects give such a satisfaction and enjoyment of using any of the particular product you like since you are actually using it instead of letting it sit on a shelf “for a special occasion”. What do you think about it? Let me know in the comments down below! P.S. 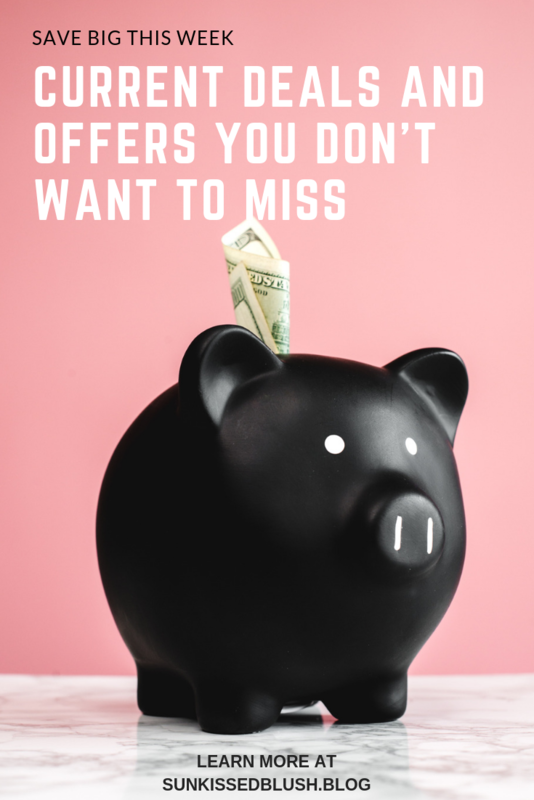 Sign up for Ebates to save some cash from shopping! It’s a user-friendly and free cash back system. 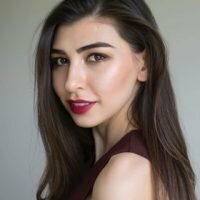 You’ll get 10$ upon signing up using this green button below.